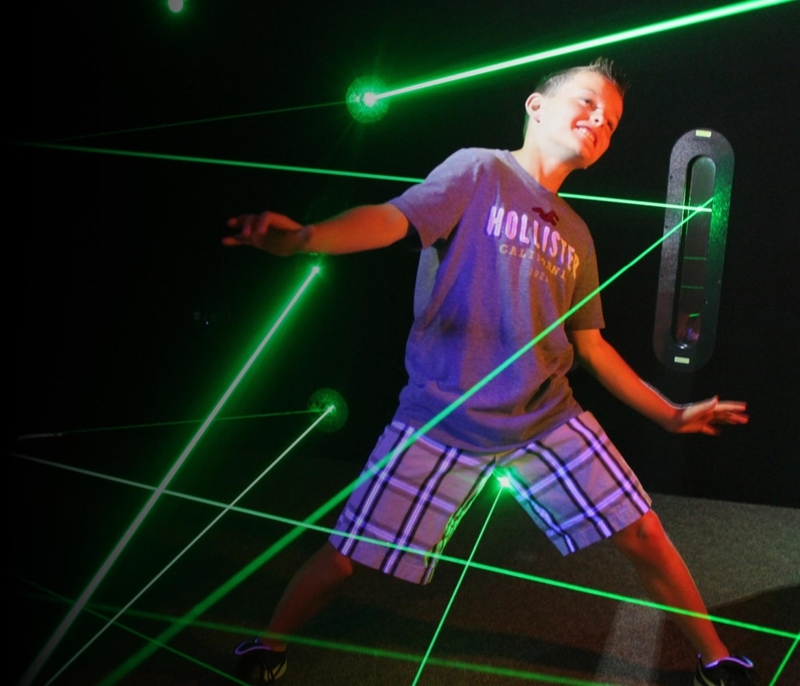 The challenges at The Fun Lab keep coming with this mission impossible laser maze. With two distinct games, this attraction will be a favorite for everyone. Game one has the player enter the maze like a Ninja with cat-like moves to avoid the vast array of laser beams to get to the other end of the room as quickly as possible. Game two is the exact opposite. In game two, you try to break as many beams as you can before the clock runs out. Both games have different levels for the novice and experts alike. Make it more fun and play the two player mode. Top scores are recorded everyday. So are you a Ninja or a Beam Buster?